Welcome to Careers at Arkema in the Americas. We are a dynamic chemical company and are always looking to add to our pool of talented employees. We invite you to explore the possibility of a career with us. Not ready to apply for a job, but still interested in Arkema in the Americas? Join our Talent Community to receive specific opportunities that match your career interests and other relevant Arkema news. 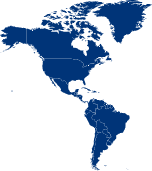 Search for a career with Arkema in the Americas in one of our many locations. View our featured positions in your area of interest by clicking on the links below. Match jobs by using your favorite social network. Keep informed about opportunities that interest you.